The Coordinated Approach To Child Health (CATCH) program is considered a leading example of a program that has demonstrated improvements to health behavior among children through the promotion of physical activity and healthy food choices. The childhood obesity epidemic in America is a national health crisis. According to the National Health and Nutrition Examination Survey, in 2009–2010, 16.9% of children between ages 2 and 19 in the United States were classified as obese. Since 1980, obesity rates among children and adolescents have nearly tripled. The Coordinated Approach To Child Health (CATCH) program is considered a leading example of a program that has demonstrated improvements to health behavior among children through the promotion of physical activity and healthy food choices. CATCH works to build an alliance of parents, teachers, child nutrition personnel, school staff, and community partners to help teach children and their families how to establish healthy habits. 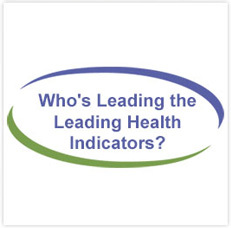 This evidence-based health program has been implemented in thousands of schools and after-school organizations across the United States and Canada. 1Luepker RV, Perry CL, McKinlay SM, et al. 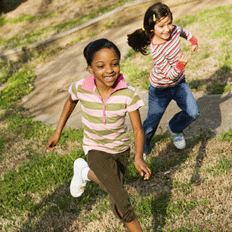 Outcomes of a field trial to improve children's dietary patterns and physical activity. The Child and Adolescent Trial for Cardiovascular Health. CATCH collaborative group. JAMA. 1996 Mar 13;275(10):768-76. 2Nader PR, Stone EJ, Lytle LA, et al. Three-year maintenance of improved diet and physical activity: the CATCH cohort. Arch Pediatr Adolesc Med. 1999 Jul;153(7):695-704. 3Hoelscher DM, Springer AE, Ranjit N, et al. Reductions in child obesity among disadvantaged school children with community involvement: the Travis County CATCH Trial. Obesity (Silver Spring). 2010 Feb;18 Suppl 1:S36-44. 44Coleman KJ, Tiller CL, Sanchez J, et al. Prevention of the epidemic increase in child risk of overweight in low-income schools: the El Paso coordinated approach to child health. Arch Pediatr Adolesc Med. 2005 Mar;159(3):217-24. The Michael & Susan Dell Center for Healthy Living is an international leader in conducting research and providing programs that promote healthy living for children, their families and communities. Our work fosters improved health behaviors among youth, influences policy and environmental change to support healthy living, and advances professional education and community service. Hoelscher DM, Springer AE, Ranjit N, et al. Reductions in child obesity among disadvantaged school children with community involvement: the Travis County CATCH Trial. Obesity (Silver Spring). 2010 Feb;18 Suppl 1:S36-44.